Once upon a time in Belgium there was a little boy who collected stamps. When he grew up he became a diplomat, and during his long career he worked for many different international organizations and bureaus. As a manager and an expert he used to get vast number of letters from all around the world. Since that passion from his childhood always was alive, he reserved all the stamped envelopes he got through the decades with care. 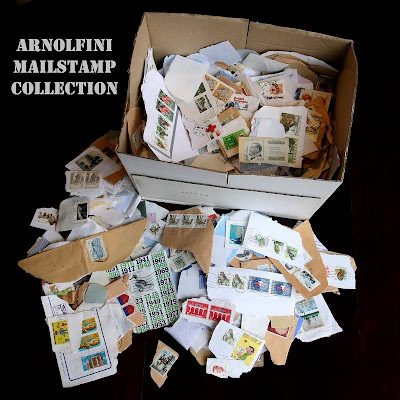 When the amount became so large that he could not handle and store it, he decided to give the whole collection to a friendly Hungarian family – their little boy might be interested in coloured stamps and would value on them. And so it happened. The family attacked the task to convert the envelope collection into a stamp collection. 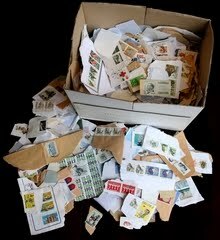 At first – in order to easier handling and with long weeks of work – they tore/cut out those parts containing stamp from envelopes. After they started to steam the stamps off the envelope and dried them. And one day – as it turned out in the last minute – when the stamp collection had already reached the size of thousand the members of Arnolfini Archives family art team happened to be invited to their Budapest home for a dinner. One word led to another until finally a box turned up, full of those torn out envelope-pieces that could not reached the steaming phase yet. And so the fate of this material has been sealed. After getting over it – in the name of the international mail art movement – we requisitioned the box with its whole contents of course and transported it to our creative studio. 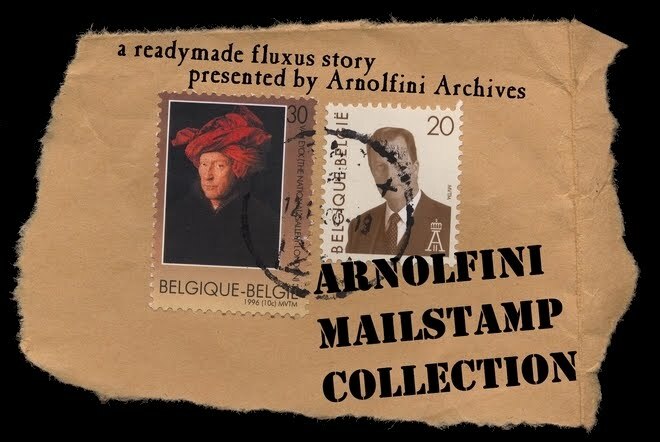 The content of this box is the Arnolfini MailStamp Collection that is at the same time a life-and-age-document, a stamp art fossil, an inspired outcome of a spontaneous fluxus project lasting for decades through country borders, resp. the metaphor of the entirety. This one-time and irreproducible readymade collection – that can not be extended or slimmed down – as the Arnolfini Archives’ project is to become public property by this blog. Wonderful story! Thank you for sharing it with the world! Very nice idea - the simple ideas often are! I see you have no stamps from the UK so far? I would be happy to send you some from my collection.